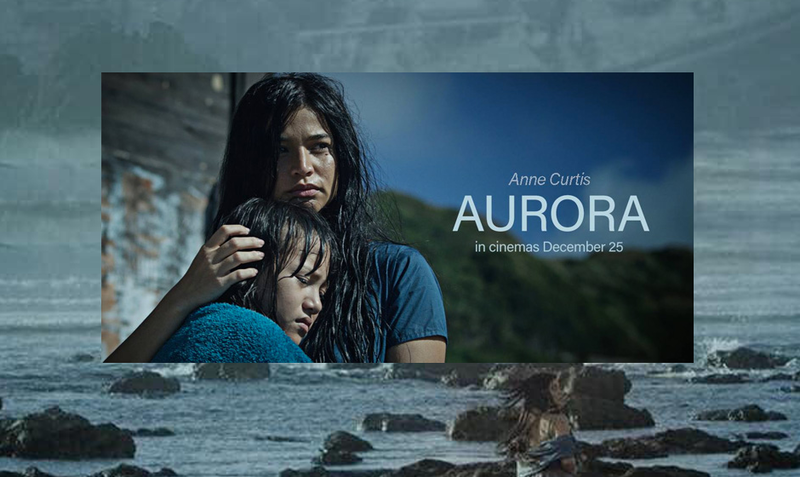 The Anne Curtis starrer, Aurora, is expected to make waves as it hits the big screen on Christmas Day, December 25th, in time for the Metro Manila Film Festival 2018. Directed by acclaimed Hollywood director, Yam Laranas and produced by Aliud Productions in partnership with Viva Films, Aurora co-stars Marco Gumabao, Phoebe Villamor, Allan Paule, Andrea del Rosario, and Arnold Reyes. The story revolves around the passenger ship Aurora which mysteriously collides into the rocky sea whereby threatening an entire island which depends on the sea for livelihood. A young woman and her sister must both survive by finding the missing dead for a bounty of 50,000 pesos offered for each body recovered. The movie was shot for ten (10) straight days in scenic Batanes where it was said that Anne Curtis was to have done daring stunts such as underwater swimming and brought to a reportedly isolated island to shoot some scenes. Initial feedback from the movie premiere held recently highlighted the film’s excellent cinematography and script, as well as Anne Curtis’ acting that so far surpasses her previous movie outings such as Buy Bust. Not your typical horror film, the effect it has on the audience is a lingering feeling of true-to-life terror. And why not? Director Laranas got inspiration from real-life tragedies such as MV Dona Paz. Aurora is an official entry to the MMFF 2018.